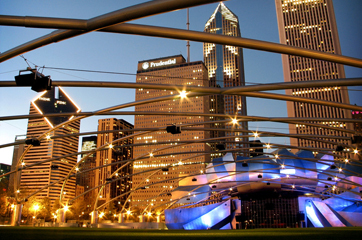 The Morningstar ETF Invest Conference will be held in Chicago at Radisson Blu Aqua. The Radisson Blu Aqua features stunning design and state-of-the-art facilities in the heart of downtown Chicago. 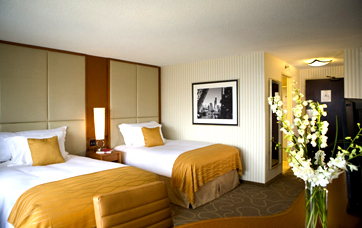 The hotel is just surrounded by world-class dining, entertainment, and is within minutes of popular destinations like the Field Museum, Millennium Park, Shedd Aquarium, Water Tower Place, and Merchandise Mart. Chicago is a business and financial hub, with a diverse, powerhouse economy. It's also a tourism center, with renowned shopping, dining, museums, architecture, theater, and music, along with, of course, Morningstar's headquarters. Among the city's other features, Chicago is centrally located within a four-hour flight from either coast. The full-service public transportation system makes getting around simple and convenient. Nearby attractions are the famous Magnificent Mile shopping district, the Museum Campus, and Navy Pier. October temperatures average a high of 63 and an average low of 44. For additional information visit the Chicago Convention and Tourism Bureau Web Site.